This gondola was created to be used exclusivelly for long duration missions onboard MIR or superpressure balloons. 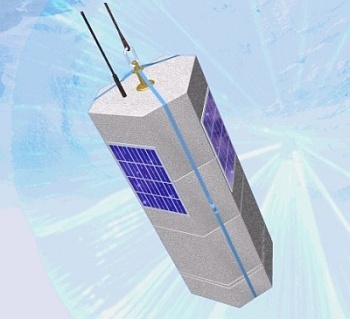 It consists of several sensors to obtain in-situ measurements of atmospheric parameters as pression, temperature and wind speed, coupled with a communication system wich transmits the data obtained to ground via the ARGOS satellite system and a GPS transmiter to obtain accurate position and height data. This elements are encased in a temperature insulated box of prismatic shape similar to the one pictured in the left image (click to enlarge). On top of it are located the ARGOS antenna and in the sides several solar panels that provide power to the onboard batteries. 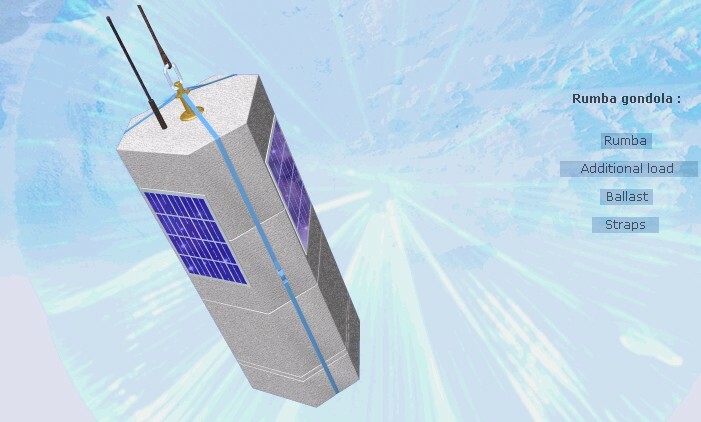 In the lower part of the gondola is located a ballast system based on liquid nitrogen to control the speed of the balloon in the ascent phase. Tha absolute pressure values are transmited to ground each minute, and the rest of the data four times each hour. The onboard electronics drives all the communication functions as well a backup flight termination device. The actual RUMBA gondola is derived from an earlier version, but suffered a great simplification in their assembly and the correction of several design flaws troughout an extensive flight validation program. 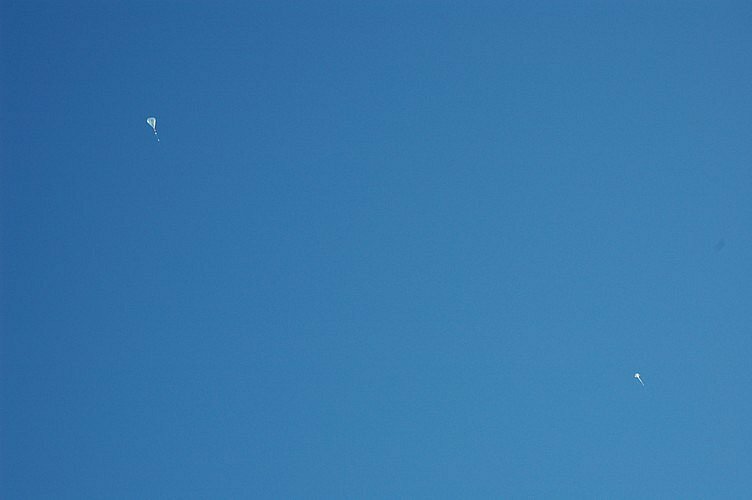 The balloon was launched on October 5th, 2005 by hand launched method assisted by a special platform developed for this kind of balloons. After a flight of 15 days -as can be seen in the map at left (click to enlarge)- the balloon ended his journey on September 27th, due to a envelope leak. 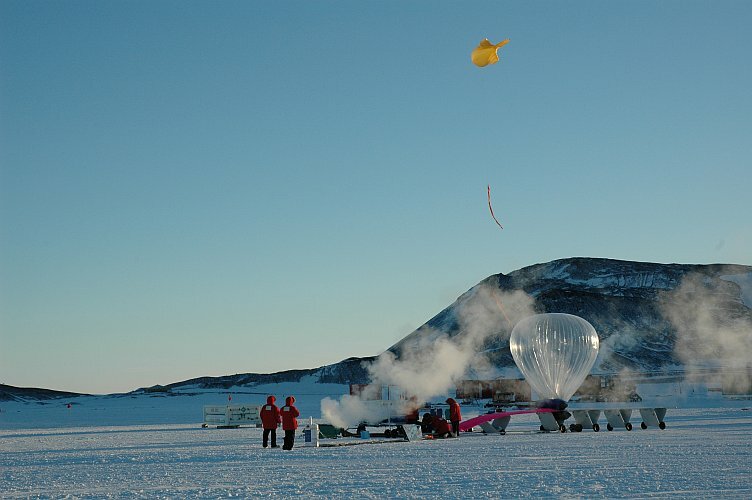 This flight was performed on the framework of the Stratéole/Vorcore campaign, aimed at studying the dynamics and transport inside the southern-hemisphere stratospheric polar vortex.